Here we are at the end of a long, tough, cold, snowy and otherwise challenging week. Honestly, we don’t know how people in the real Siberia do it. 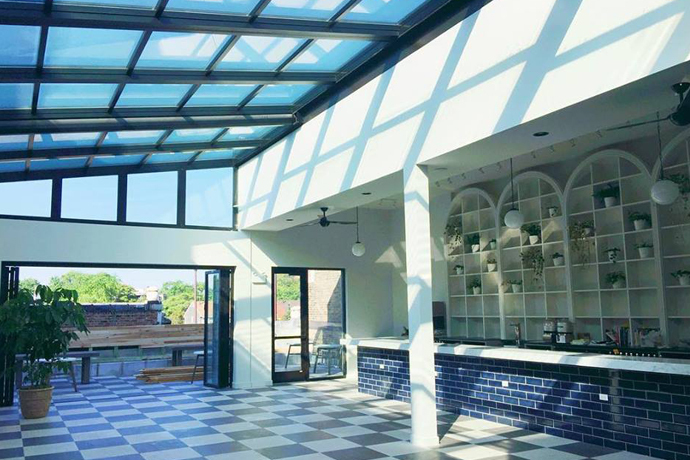 So here’s where to find plenty: Chicago Distilling Company, a new place for you to experience the miracle of vodka-birth, opening today at 4pm. Now this looks like a place where things get made—from the big bow-trussed ceiling to the polished concrete floors. You can get a tour on Saturdays to poke around the kettle and see what goes into the process. Or just stop by the small shop in the front for a bottle of vodka or white whiskey. Oh, and in a few months, you’ll be able to pick up the barrel-aged stuff. But mostly, you’ll come here on research missions, looking to warm yourself in ways no pair of thermal long johns can. Tinker with the Ceres (their 80-proof vodka) in a classic gimlet. Experiment with a warm Ginger Snap Man, made with Shorty’s (their brand of white lightning), maple syrup and spices. It’s also great on waffles.